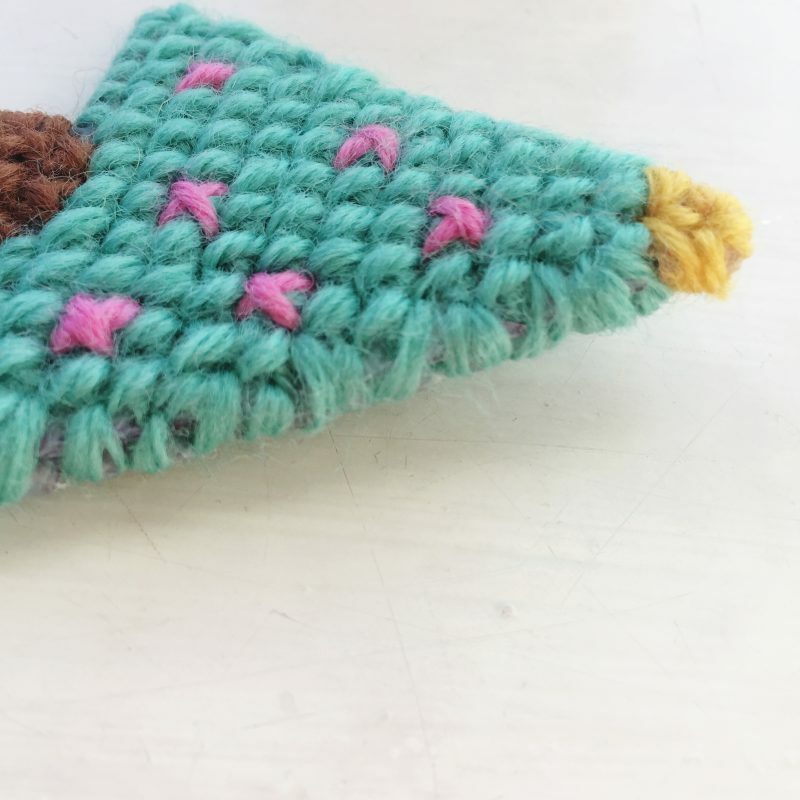 Ages ago, using a tutorial in Mollie Makes, I whipped up a batch of cute little acorn brooches. I still wear them over a year later, mostly on my coat during the autumn and winter. 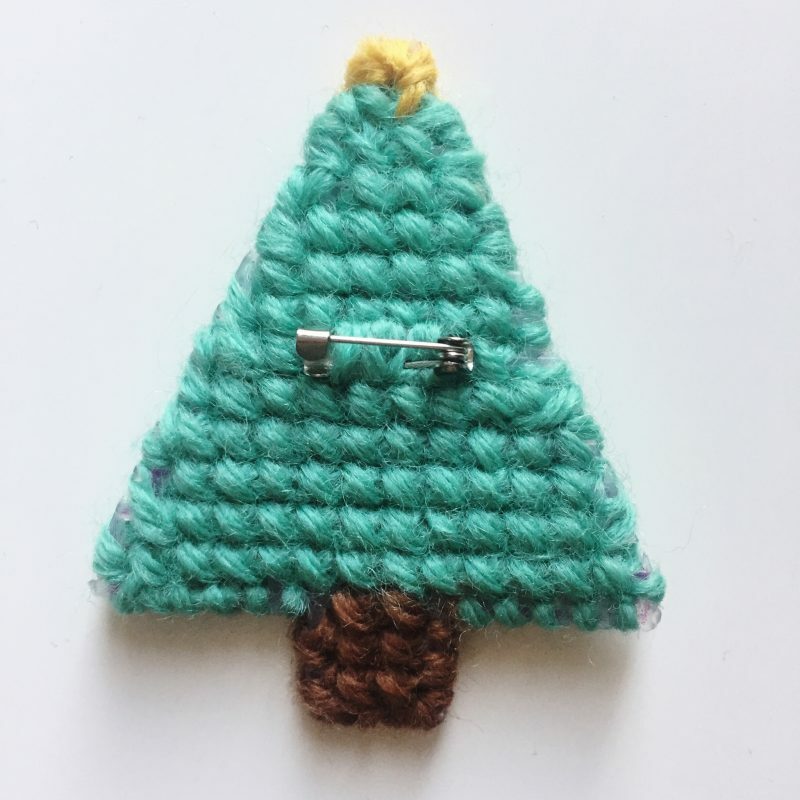 Feeling inspired, I made a Christmas tree brooch! Wouldn’t this make a cute stocking filler or maybe a last minute little gift? It could even be pinned to the front of a Christmas card! If I’d been more organised, these would have been our teacher gifts. This couldn’t be easier; it only took me about half an hour whilst watching TV. 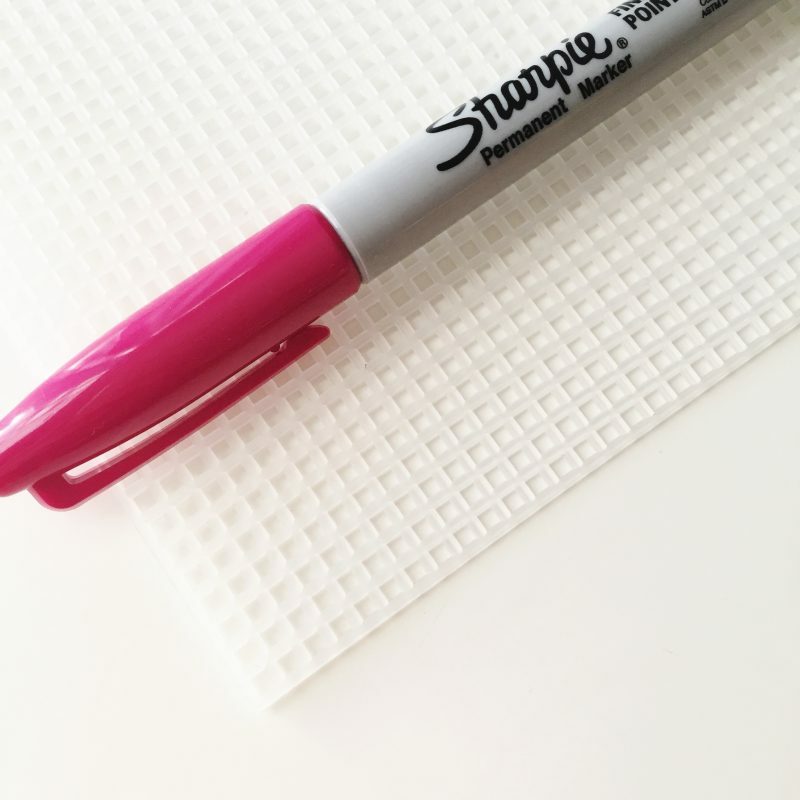 It’s just very simple cross stitch. Apologies for not having photos for every step, but I’m sure you’ll get the idea anyway! 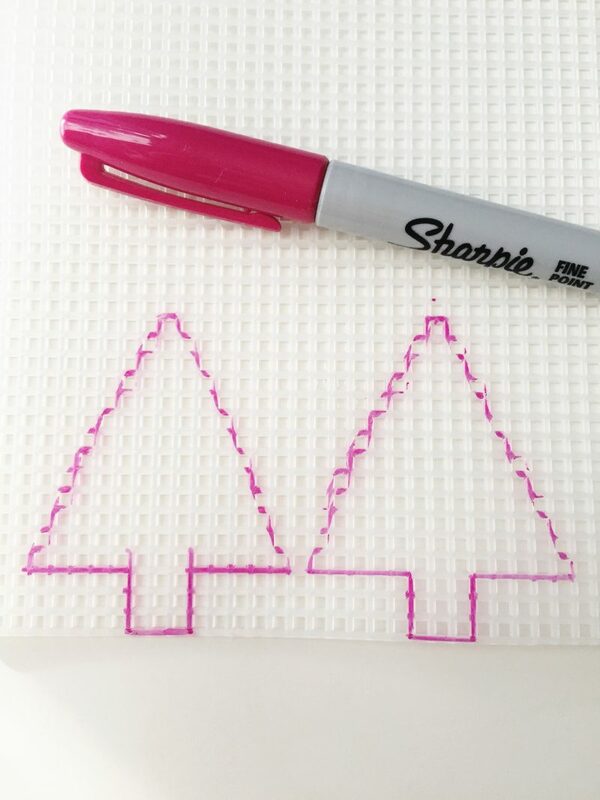 Draw your Christmas tree shape twice on the plastic canvas using the marker pen. Place the brooch backing in the centre of one of the shapes and draw around it. Cut out both of the shapes. Don’t worry about the slightly jagged edges on the sides of the tree. 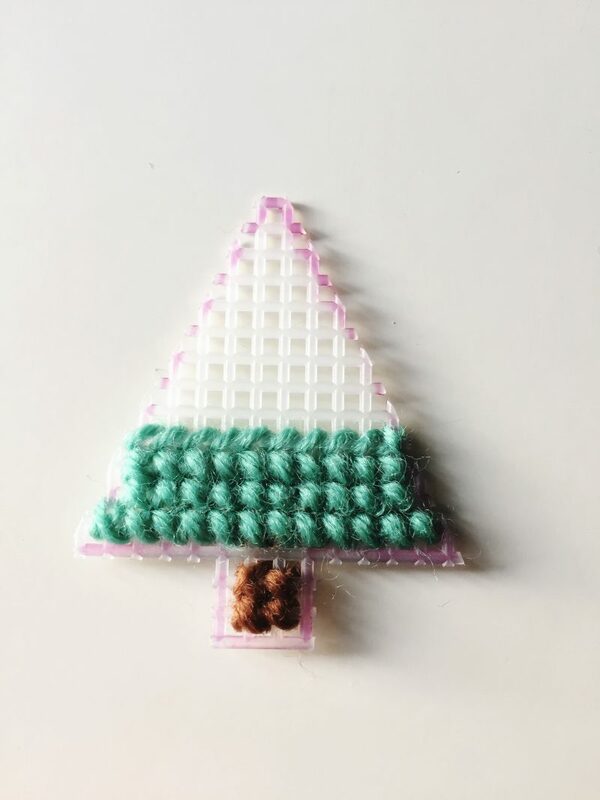 Using a cross stitch technique, stitch the trunk with the brown yarn. 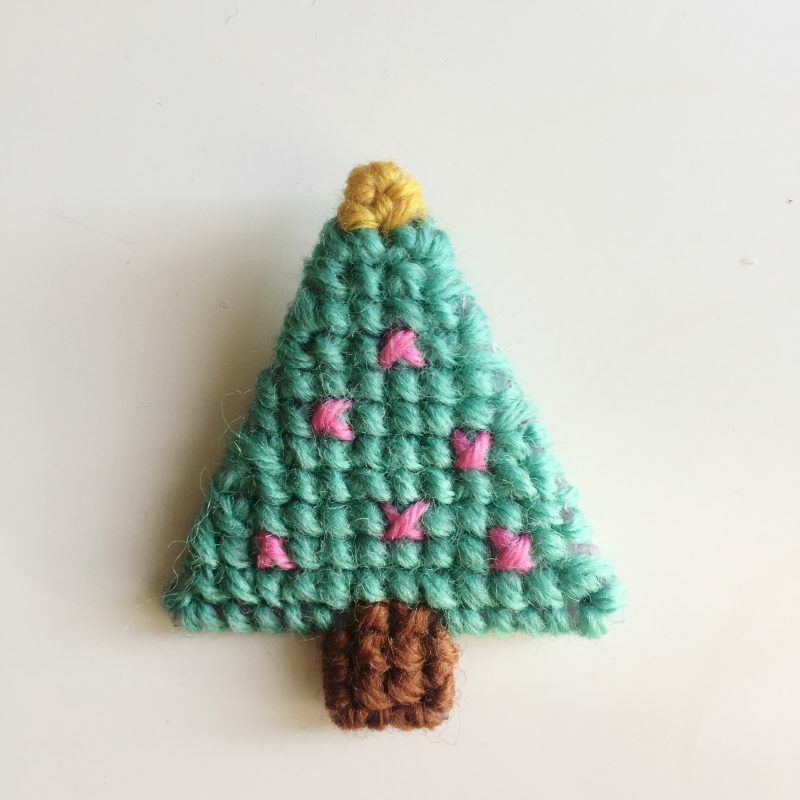 Do the same with the green yarn for the rest of the tree, except the very top. After I took this photo, I realised I’d missed a bit of brown stitching! There shouldn’t be a gap between the green and brown. Stitch the yellow yarn at the top. 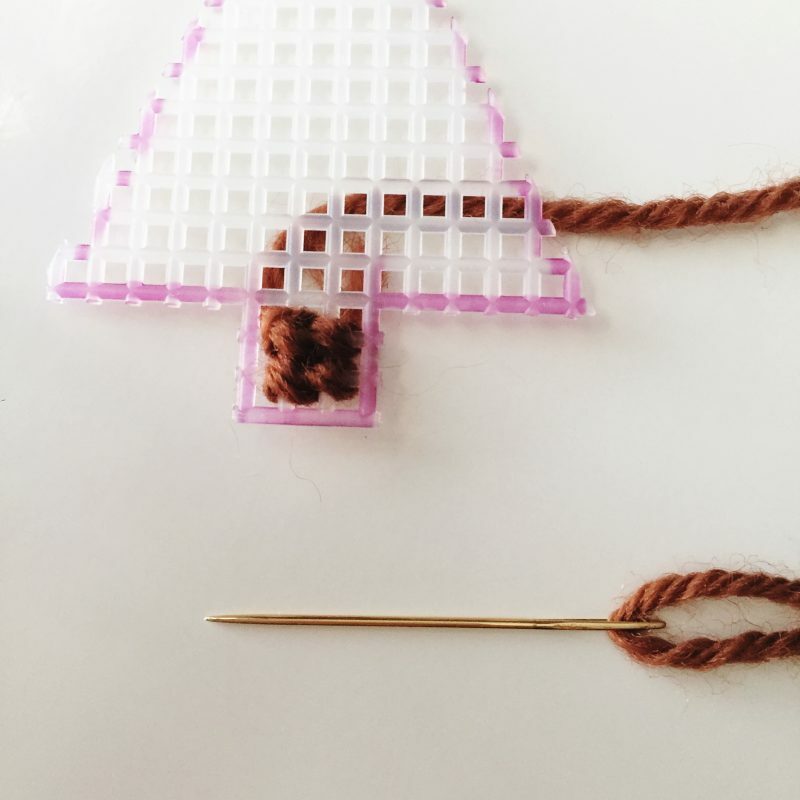 Use the pink yarn to stitch a couple of crosses here and there for decorations. Repeat the brown, green and yellow stitching on the other shape. Don’t stitch where you will place the brooch backing. Place the brooch backing in place and stitch on using the green yarn. Make sure it will be on the neat and tidy side! 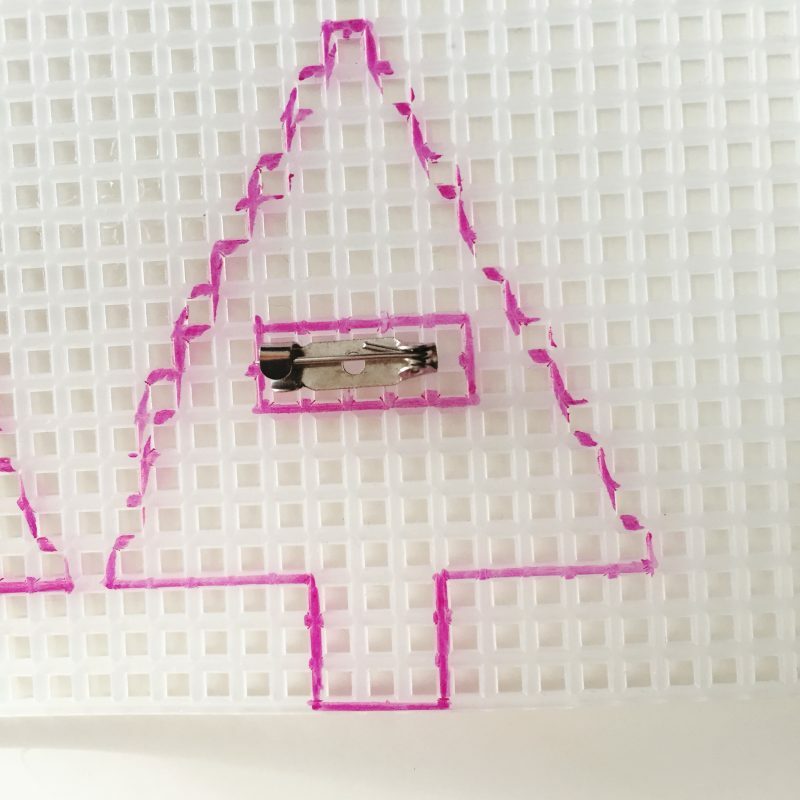 Sandwich both parts of your Christmas tree together and stitch them together. 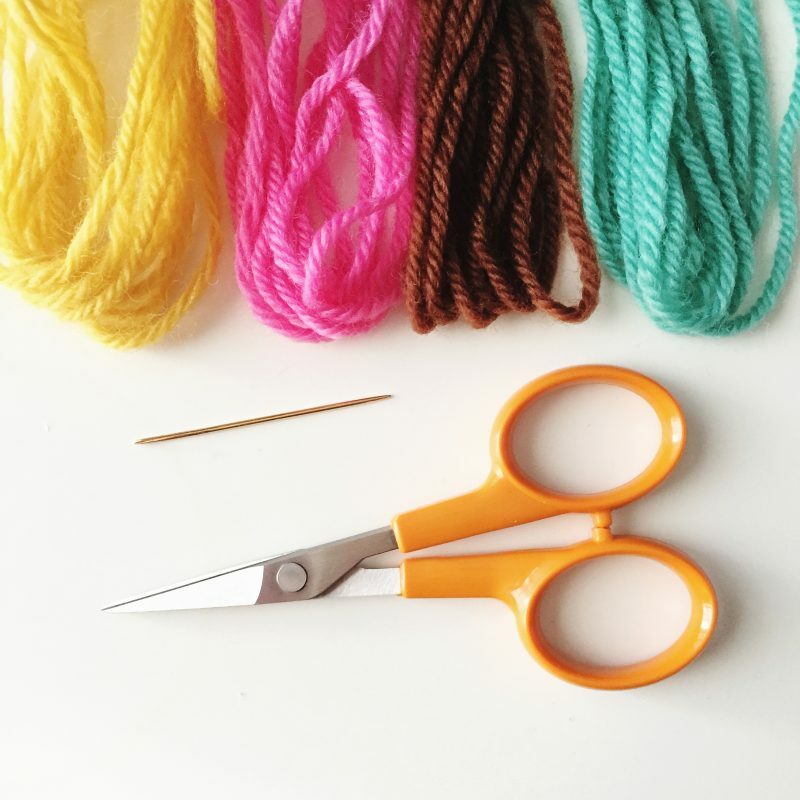 You need to wrap the yarn around the edges to cover them up. Neaten up any sharp pieces of plastic with your scissors first. Wear your brooch or gift it!